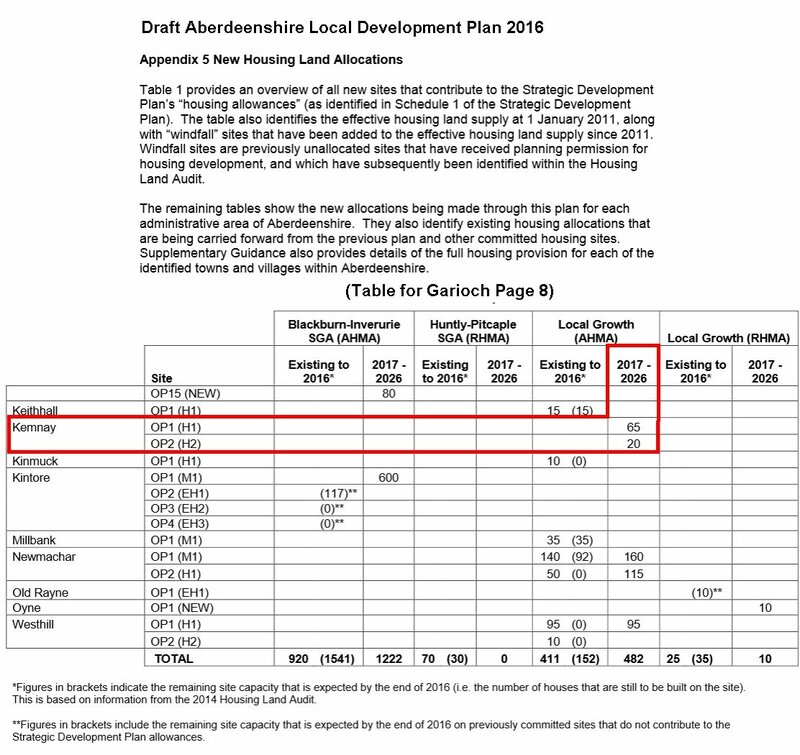 The Proposed Aberdeenshire Local Development Plan 2016 requires to be considered at a public examination prior to its adoption, conducted by a Reporter appointed by Scottish Ministers. 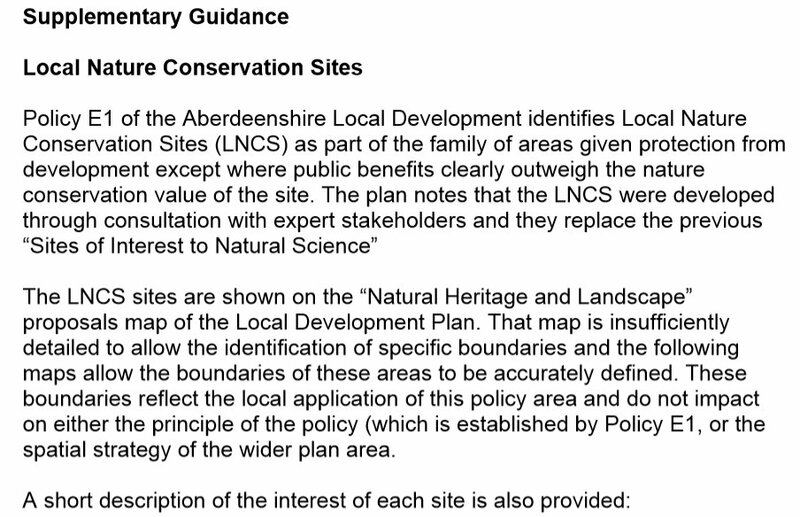 Aberdeenshire Council submitted the Proposed Local Development Plan 2016 for examination on 1 December 2015. 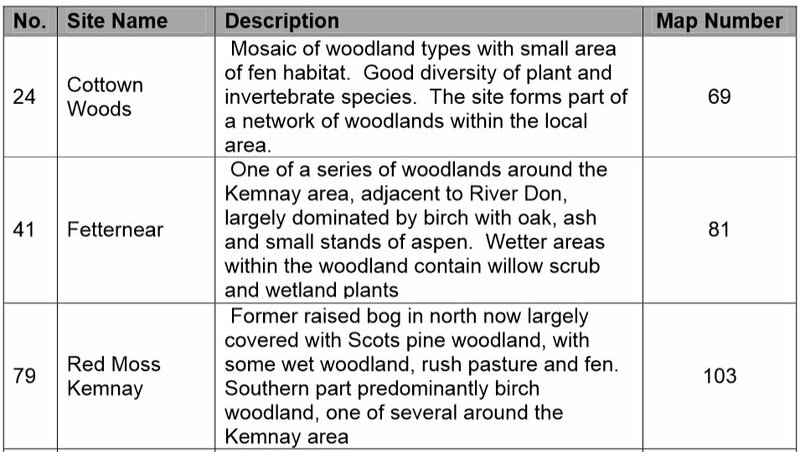 The Directorate for Planning and Environmental Appeals who carried out the Examination in Public of the Proposed Aberdeenshire Local Development Plan submitted their Report of the Examination to the Aberdeenshire Council on the 21 December 2016. The Council will consider the Reporter’s Recommendations on the plan and then take forward the Local Development Plan for adoption in early 2017. Ms Allison Coard was appointed as the lead reporter for the examination. 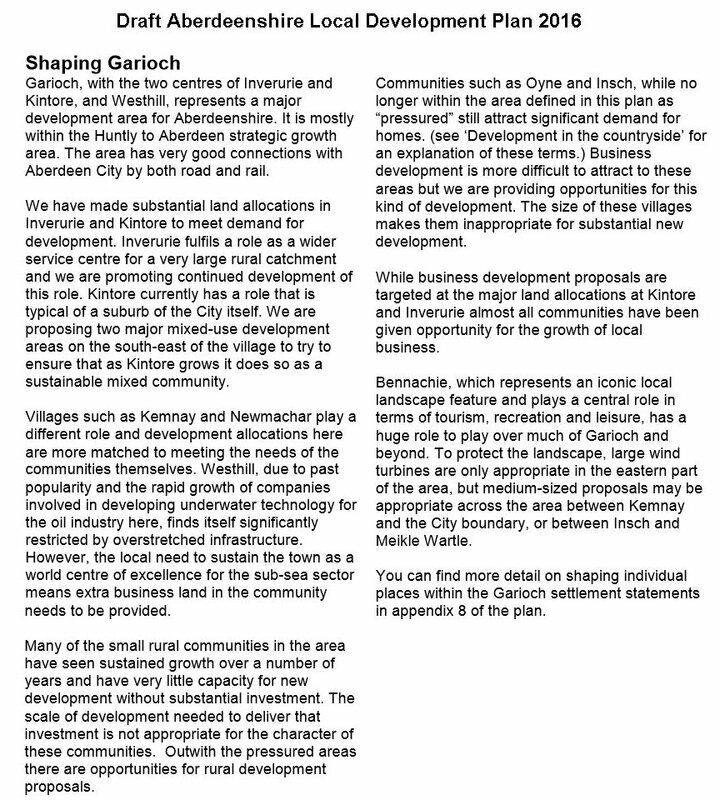 The Proposed Aberdeenshire Local Development Plan was approved as the settled view of the Council on 12 March 2015. This follows a process of engagement detailed in the Development Plan Scheme and included consultation on a Main Issues Report in 2013. The plan was published for formal representation on the 28 March 2015. This period ended on 8 May 2015 at 5pm. Unresolved issues arising from the representations are currently with Scottish Ministers for public examination. This Examination is likely to conclude before 30 August 2016. The Proposed (Draft) Local Development Plan (LDP) 2016 is the second stage of the Local Development Plan process, the first stage being the Main Issues Report (MIR). 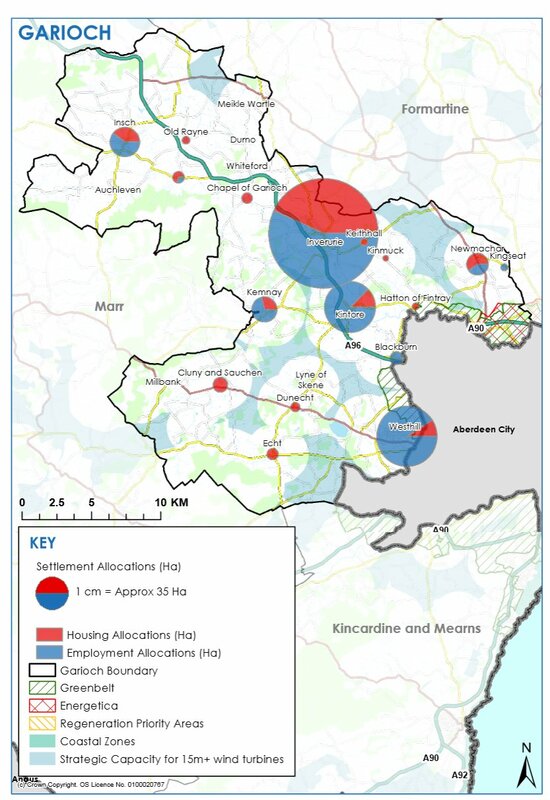 The Proposed Aberdeenshire LDP will be considered by Aberdeenshire Council on 22 January and again on the 12 March 2015 when it is anticipated that the plan will be published in its final form for representations. 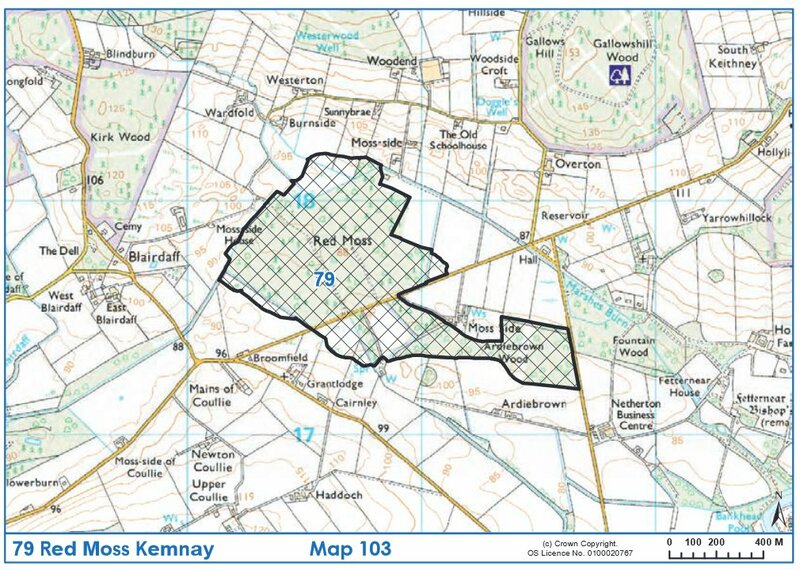 On the 22 January 2015 the Council will consider the broad spatial strategy and policies for the new plan. On 12 March, following consideration of settlement specific information by Area Committees Council will be asked to endorse the settlement statements and instruct publication of the plan. 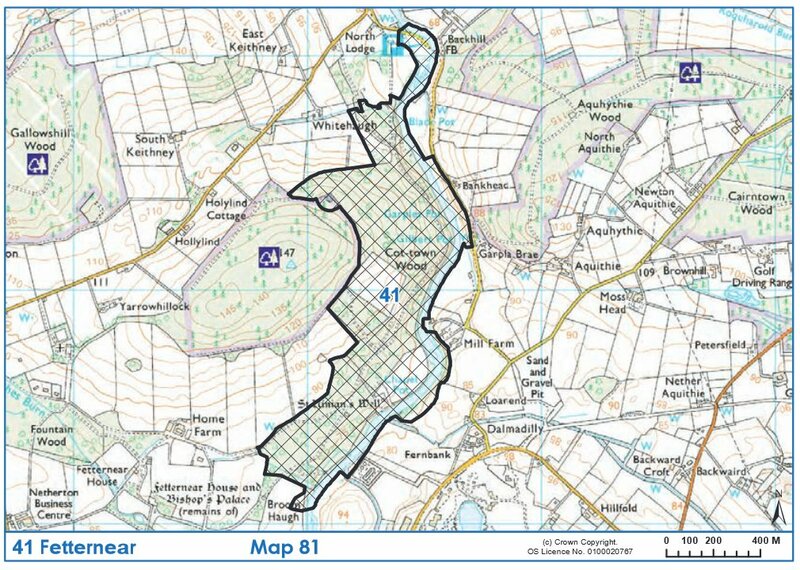 The Proposed LDP will form the settled view of how and where Aberdeenshire Council considers development should take place and is expected to be published in late March 2015, following which there will be a period of public consultation lasting 6 weeks. 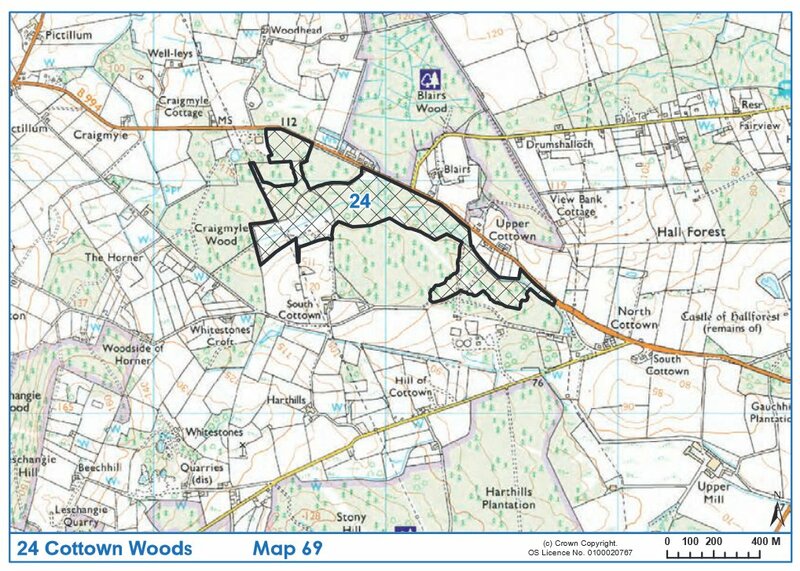 The Policy content was approved by full Council at its meeting in January 2015 and is already available to view online at the above link ahead of the public consultation period. 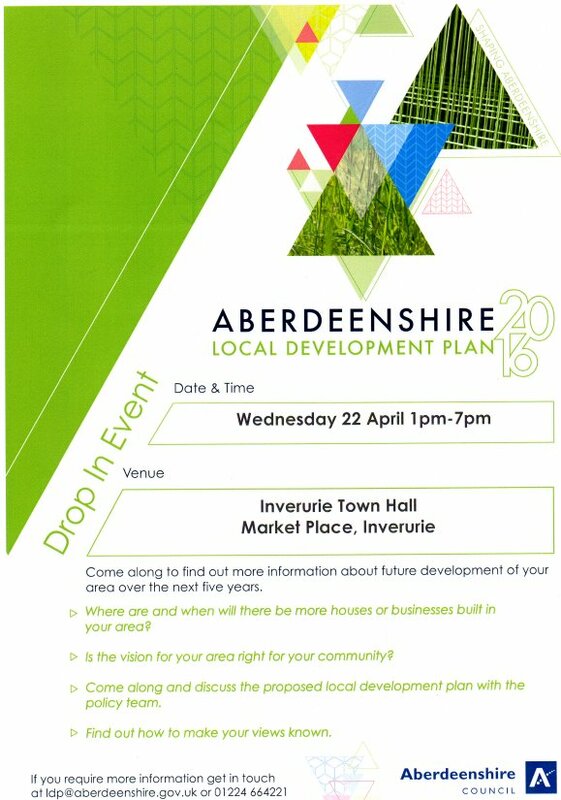 We would encourage you to review and comment on the proposed Aberdeenshire Local Development Plan and its associated supplementary guidance. Please remember to save a copy of this form for your own records.